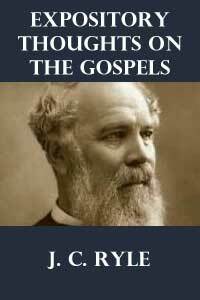 J.C. Ryle was an Evangelical Anglican bishop who lived in England in the latter half of the 19th century. When Ryle’s words—written over 100 years ago—still resound with truth today, I would call that “a classic”! That is exactly what we find in his Expository Thoughts On The Gospels. His thoughts are presented to us section-by-section, not verse-by-verse as many biblical commentators do. 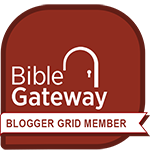 This method has two distinct advantages for us: (1) It’s easier to get a “big picture” view of what Jesus was doing and teaching, and (2) It’s more manageable to use this book as a complement to a personal or group Bible study. In fact, Ryle himself suggested that the design of his commentary was with family devotions in mind. Purposely, he doesn’t delve into deep doctrine so that the youngest or most novice of Christians can gain much insight. But don’t confuse that statement with this being “light reading.” On the contrary, even the most tenured Christian will find ample thoughts to challenge his mind. I highly recommend this series of commentaries to those who want a deeper Bible study time.